Mike Lewis helped us to quickly find the perfect home for our family in San Diego. He provided outstanding representation getting our offer accepted over multiple offers received on our dream home. We feel so Blessed to have had him negotiate a great deal for us and were now living in our dream home within a month of first meeting with Mike. I have worked with several realtors in the past and Will Be Referring everyone I know to Him thats looking to buy or sale a home! We couldn't be happier! Jerry & Rosy C.
Thanks Jerry and Rosy and we hope you love your new condo! 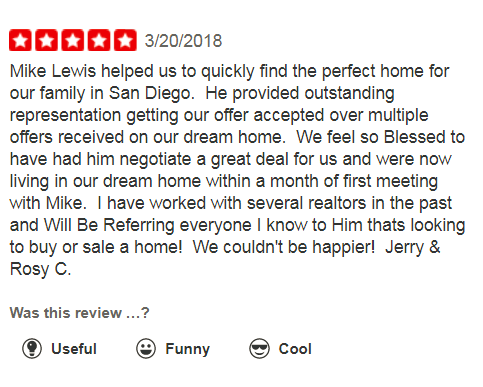 The Lewis Team – San Diego’s Real Estate Team! 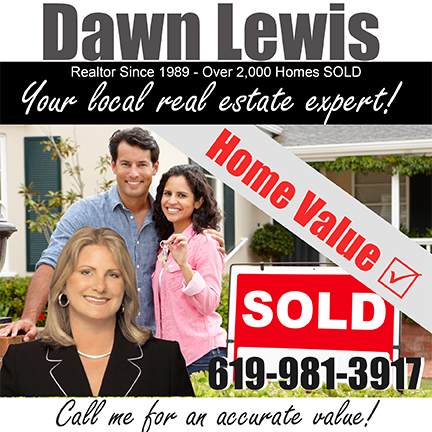 Buying or selling a home in San Diego, give The Lewis Team a call today! We would love to help!